If you’ve been offered the opportunity of becoming an expat with your employer chances are that the complicated parts – the visa, health insurance, tax planning, capital gains, pensions, accommodation, shipping of furniture and possessions – will largely be taken care of by your employer. However, there are a number of different factors you need to consider before making that change, as these will impact your daily life more than you imagine. Most Brits dream about living in a warm climate where the sun shines every day, where they never have to face endless days of drizzle and grey skies ever again. However, very few are prepared for the intense humidity or high temperatures of many expat destinations, particularly in Asia and the Middle East. The physical impact, feelings of lethargy and extreme sweating are often overlooked, as is the impact of living 24/7 in air conditioned offices, apartments and shopping malls. Similarly, for those who are used to seeing the sun every day, moving to a colder, darker climate can be extremely depressing and bring on bouts of SAD. Wherever you are moving to, it’s important to consider how the climate changes are going to impact on your physical strength, well-being and daily life. Usually there is a period of adjustment whilst your body gets used to the new environment – just make sure you, and your family, are prepared for this. Knowing some of the local language will be an enormous advantage wherever you are going. It not only makes it easier to integrate into the community but simple tasks such as going to the bank, to the doctors, paying bills can become arduous and time-consuming tasks when you are unable to understand the language which is being used for these transactions. If you move abroad with your family it’s extremely important that your children gain a good grasp of the language in order to make friends and feel settled. Ideally learning the language should start before you depart, so that you have some of the ground work covered before you arrive. Like the weather, the differences in culture can be a shock and take time to adjust to. But unlike the weather a lack of understanding when it comes to local customs, behaviour and traditions can result in a serious social faux pas or could even land you in prison. There is plenty of information and advice on the internet which covers the basics for all countries – make sure you are familiar with these and take the opportunity to speak to colleagues and locals when you move to get some first-hand intel on how they do things in your new country. Many popular cities for expats such as London, Hong Kong, Singapore, New York, and Dubai are the most expensive cities in the world. It’s important to understand how your expenditure will change as the cost of some items will be a source of surprise, and you will find other items to be much cheaper than expected. In most cases expat living results in an increased opportunity to save money, so the question that often needs to be addressed is not so much – how much will I spend? But how much can I save? 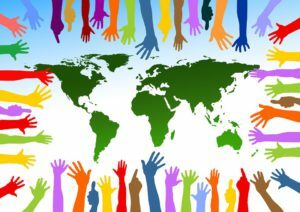 Even if you have every intention of integrating into your new local community the expat community will always play an important role in your experience. Here you will find a wealth of experience and knowledge from people who have done it all before, and in many cases the expat community becomes a source of friends and substitute family. It’s important to address what type of expat community exists in the place you are moving to. Firstly, is there one? Secondly, who does it consist of? Some expat communities are made up of couples and families – which makes it difficult for single expats to enjoy the new territory to the same extent. Find out what type of expat community exists before you go – as these people are going to play a significant role in your new life. Cactus Language Training offers bespoke business language courses across the world for more than 20 languages. For your free consultation and detailed quote please call us on 01273 830 960 or email us. Our multilingual team will be happy to answer any questions you may have. Previous: Is a Career-break the new MBA?